How do our Google BigQuery users effectively query time data? 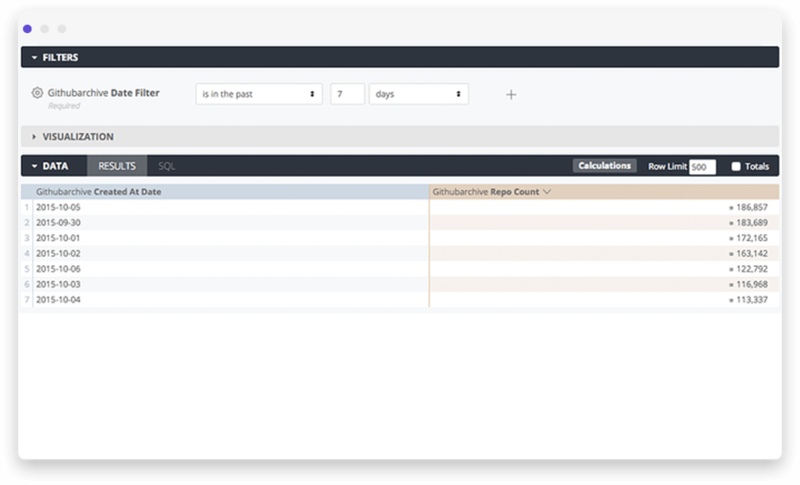 By implementing Looker’s TABLE_DATE_RANGE table wildcard function, users can easily query specific time periods and perform time-based analysis. A best practice for time series data in BigQuery is to partition it by dates and store the partitions in individual files or tables. This makes it easy to add, remove and maintain datasets. The partitioned tables can be unioned together and effectively appear as a single table using the table wildcard functions TABLE_DATE_RANGE in Looker. Any user viewing the resulting table can change the date filter, and the query will be rewritten to query the appropriate tables automatically. This Block greatly increases query performance, enabling users to perform crucial time-related analysis.